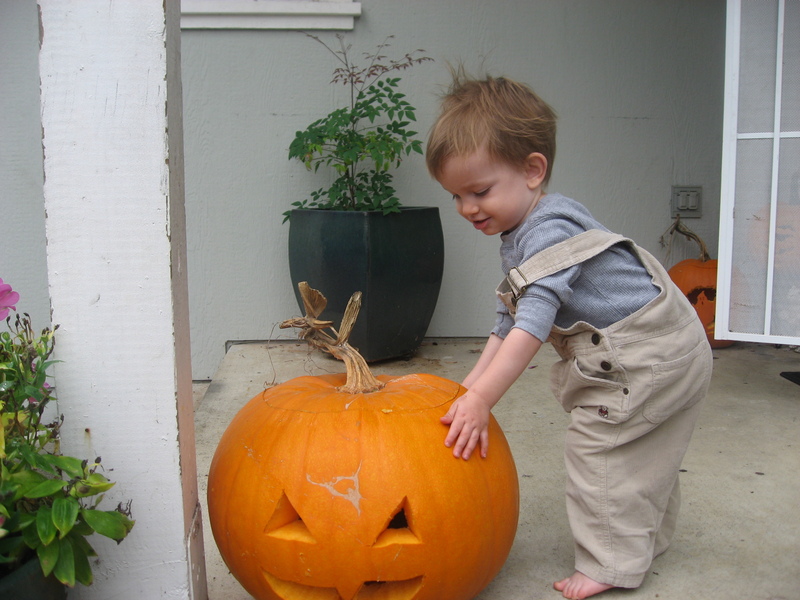 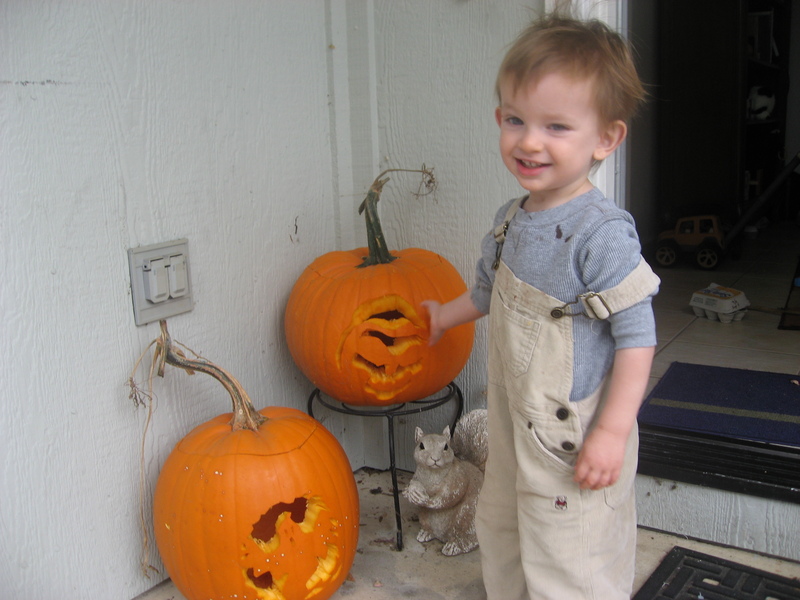 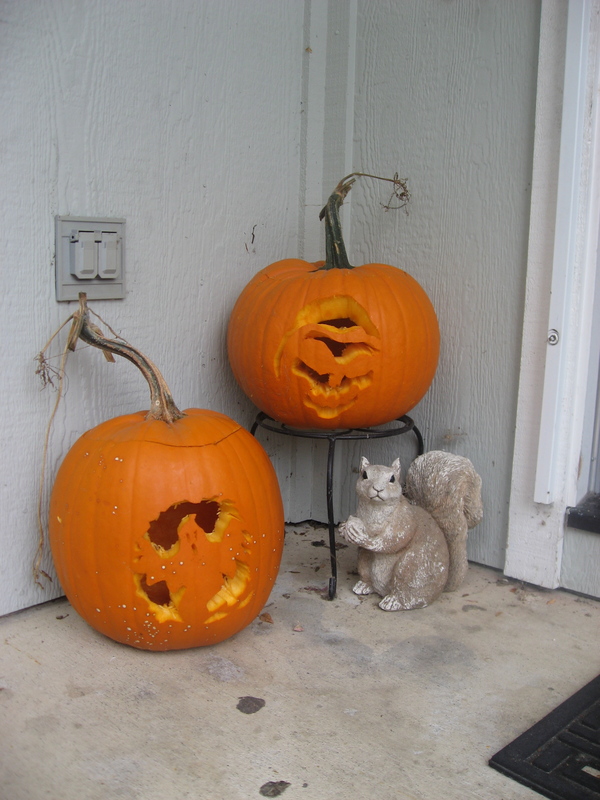 This morning Oliver helped me carve our pumpkins. 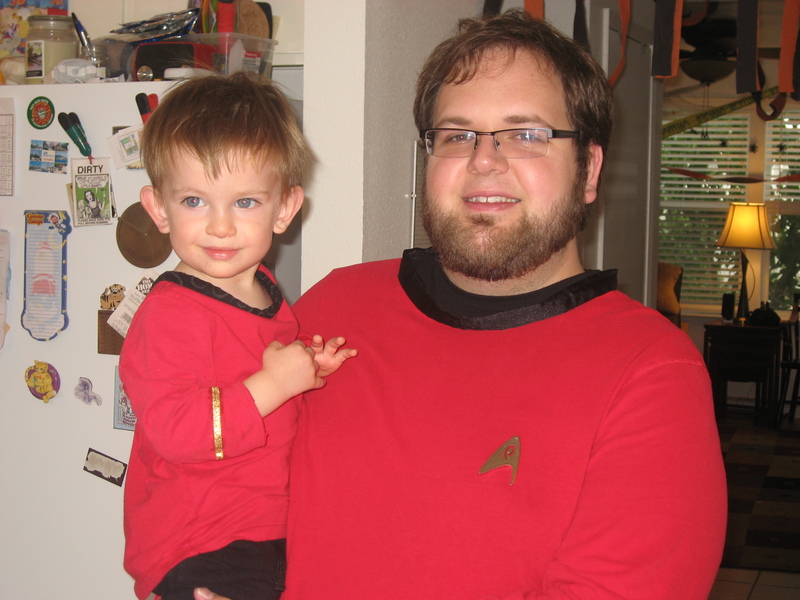 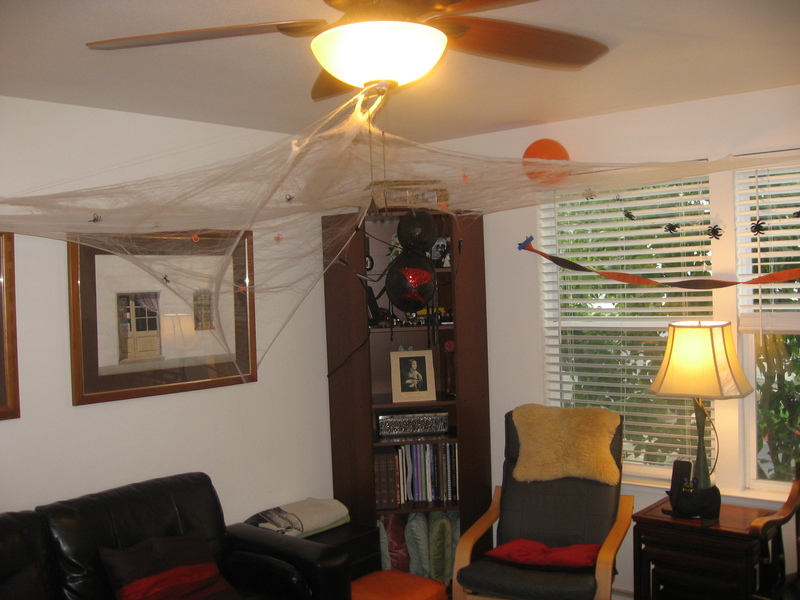 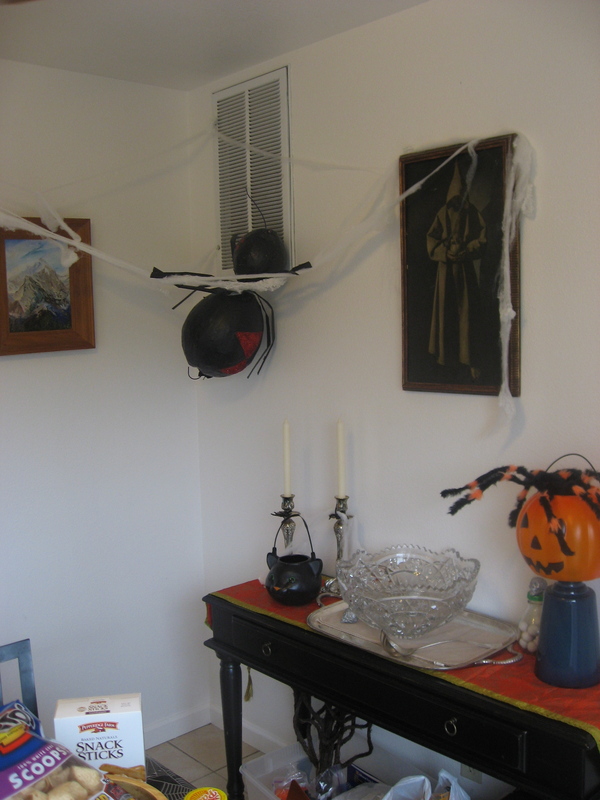 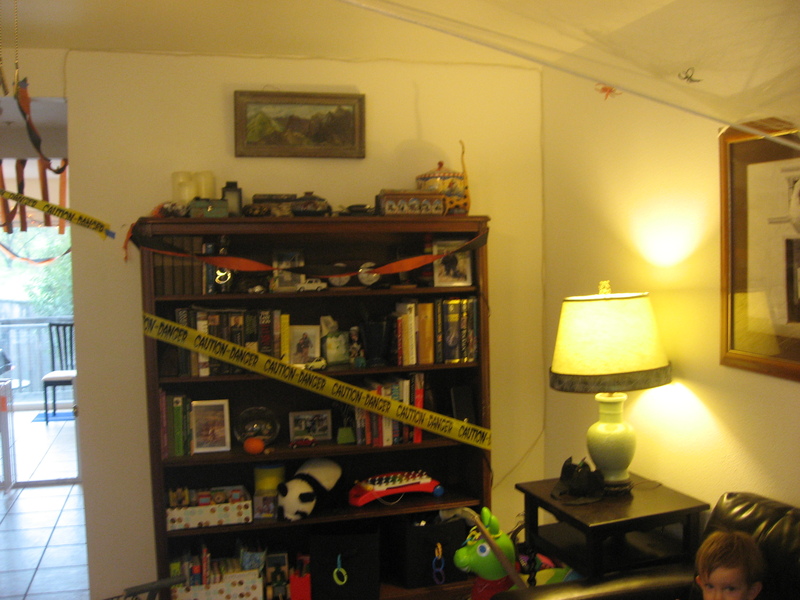 Then he helped Elizabeth and I decorate the house for our Pre-Halloween Costume Party. 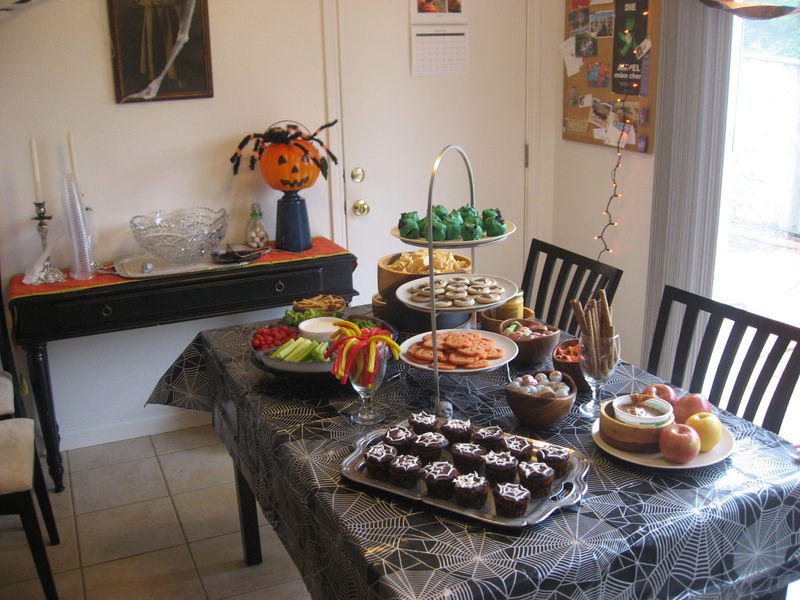 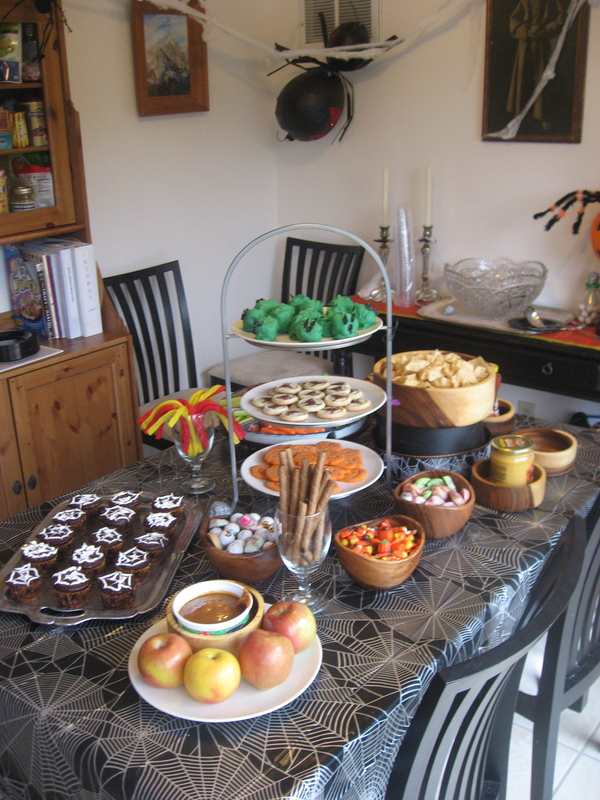 We also set up the buffet of treats and prepared the punch. 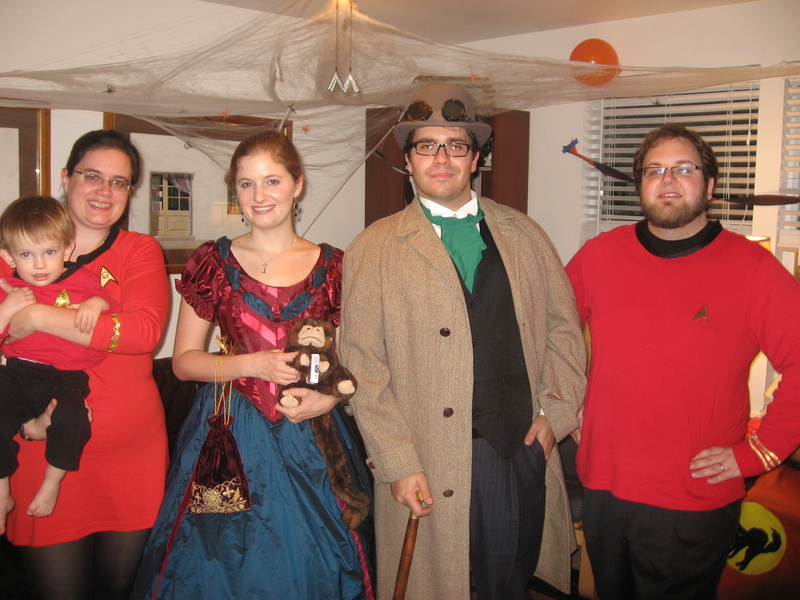 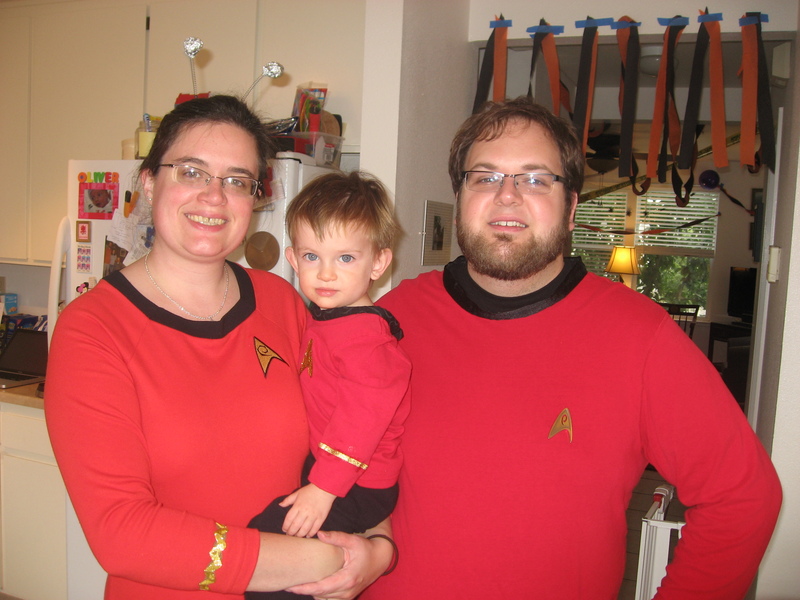 Then we posed for photos in our costumes. 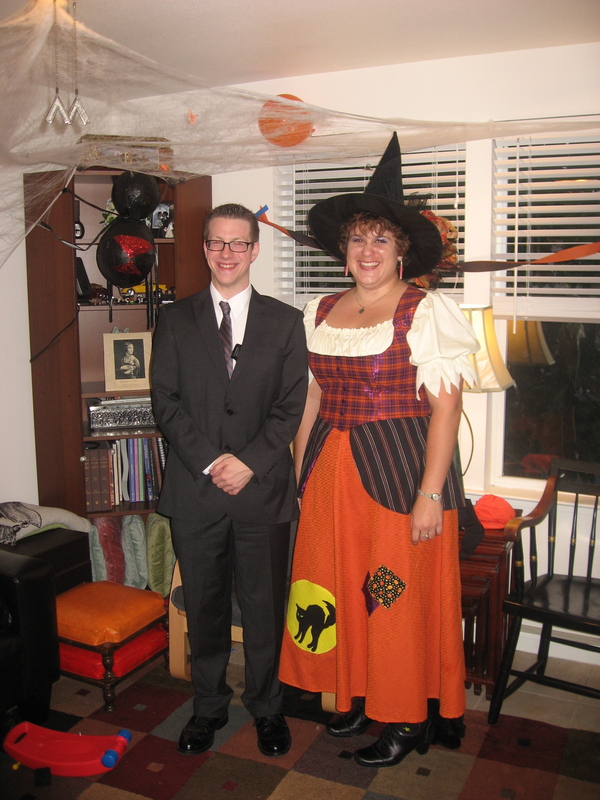 Abby & Mark were Steam Punk characters, Steve came as James Bond – and then he realized he didn’t have a tux so he was a Secret Service Agent, and Elizabeth was a Festive Witch. 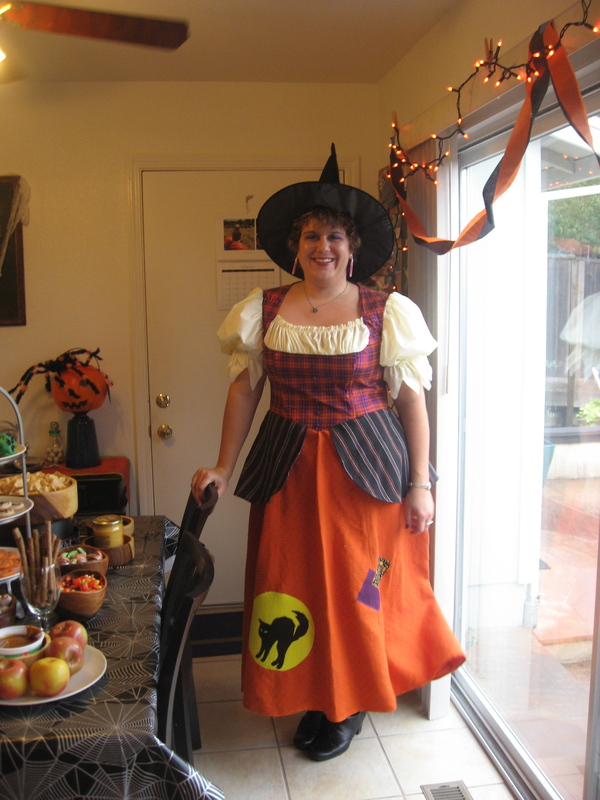 Becca came as a Fairy (but I didn’t get a good photo of her costume). 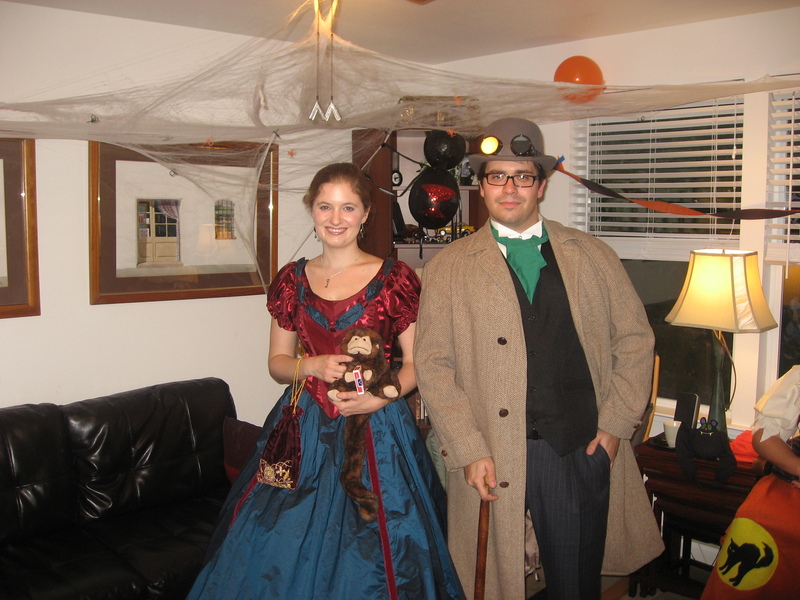 Abby and Mark would like to note that we were specifically characters from the game Echo Bazaar.